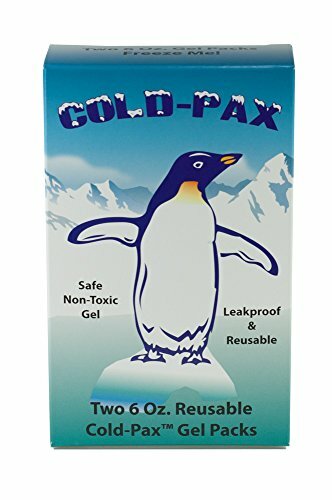 Cold-Pax is a specially formulated leakproof, long lasting, viscous gel refrigerant that is made with non-toxic ingredients included in the FDA (GRAS) provision. Generally regarded as a Safe Substitute. They are sealed in a heavy-duty plastic pouch and keeps perishable products at a constant and desirable temperature. Each Gel Pack Measures: 5 1/2" x 3 3/4" 1/2"
If you have any questions about this product by GMS Cold-Pax, contact us by completing and submitting the form below. If you are looking for a specif part number, please include it with your message. PILL REMINDER 4XDAY 1 WK 1 per pack by APEX MEDICAL CORP.